This paper presents the implementation of non-classical continuum theory for simply supported nanobeam. Hamilton’s principle and modified couple stress methods are employed for obtaining differential equation of motion of nanobeam in cooperation with suitable boundary conditions. An approximate solution of the presented system is developed considering the method of multiple scales which is one of the perturbation techniques. The effect of material length scale parameter ζ and the Poisson’s ratio υ on the natural frequencies are determined and represented in table form and graphically. Besides, dimensionless natural of frequency of nanobeam are investigated by taking into account various system parameters. The results of the system show that the size influence is very crucial for extremely thin beams with a height of nanoscale dimension. Besides, the outcome of the system shows that the beam modeled considering non-classical continuum theory is stiffer than those of classical one. 1. Flannigan, D.J. ; Samartzis, P.C. ; Yurtsever, A.; Zewail, A.H. Nanomechanical motion of cantilevers: direct imaging in real space and time with 4D electron microscopy, Nano Letters, 2009, 9(2), 875–81. 2. Beni, Y.T. ; Karimipour, I.; Abadyan, M. Modeling the instability of electrostatic nano-bridges and nano-cantilevers using modified strain gradient theory, Applied Mathematical Modelling, 2015, 39(9), 2633–2648. 3. Korayem, A.H.; Kianfar, A.; Korayemn, M.H. Modeling and simulating of V-shaped piezoelectric micro-cantilevers using MCS theory considering the various surface geometries, Physica E, 2016, 84, 268–279. 4. Eringen, A.C. Nonlocal polar elastic continua, International Journal of Engineering Science, 1972, 10, 1–16. 5. Yang, F.; Chong, A.C.M. ; Lam, D.C.C. ; Tong, P. Couple stress based strain gradient theory for elasticity, International Journal of Solids and Structures, 2002, 39, 2731–2743. 6. Gurtin, M.E. ; Weissmuller, J.; Larche, F. A general theory of curved deformable interfaces in solids at equilibrium, Philosophical Magazine A, 1998, 78(5), 1093–1109. 7. Aifantis, E.C. Strain gradient interpretation of size effects, International Journal of Fracture, 1999, 95, 1–4. 8. Eringen, A.C. Theory of micropolar plates, Zeitschrift fur Angewandte Mathematik und Physik, 1967, 18, 12–30. 9. Park, S.K. ; Gao, X.L. Bernoulli–Euler beam model based on a modified couple stress theory, Journal of Micromechanics and Microengineering, 2006, 16, 2355-2359. 10. Kong, S,; Zhou, S.; Nie, Z.; Wang, K. The size-dependent natural frequency of Bernoulli-Euler micro-beams, International Journal of Engineering Science, 2008, 46, 427-437. 11. 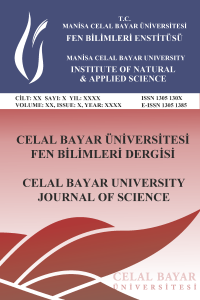 Şimşek, M. Dynamic analysis of an embedded microbeam carrying a moving microparticle based on the modified couple stress theory, International Journal of Engineering Science, 2010, 48, 1721-1732. 12. Asghari, M,; Kahrobaiyan, M.H. ; Ahmadian, M.T. A nonlinear Timoshenko beam formulation based on the modified couple stress theory, International Journal of Engineering Science, 2010, 48, 1749-1761. 13. Asghari, M.; Kahrobaiyan, M.H. ; Rahaeifard, M.; Ahmadian, M.T. Investigation of the size effects in Timoshenko beams based on the couple stress theory, Archive of Applied Mechanics, 2011, 81, 863-874. 14. Kahrobaiyan, M.H. ; Asghari, M.; Ahmadian, M.T. A Timoshenko beam element based on the modified couple stress theory, International Journal of Mechanical Science, 2014, 79, 75-83. 15. Kahrobaiyan, M.H. ; Asghari, M.; Rahaeifard, M.; Ahmadian, M.T. Investigation of the size-dependent dynamic characteristics of atomic force microscope microcantilevers based on the modified couple stress theory, International Journal of Engineering Science, 2010, 48, 1985-1994. 16. Fu, Y.; Zhang, J. Modeling and analysis of microtubules based on a modified couple stress theory, Physica E, 2010, 42, 1741-1745. 17. Ma, H.M.; Gao, X.L. ; Reddy, J.N. A microstructure-dependent Timoshenko beam model based on a modified couple stress theory, Journal of Mechanics and Physics of Solids, 2008, 56, 3379-3391. 18. Chen, W.; Weiwei, C.; Sze, K.Y. A model of composite laminated Reddy beam based on a modified couple-stress theory, Composite Structures, 2012, 94, 2599-2609. 19. Ke, L.L. ; Wang, Y.S. Flow-induced vibration and instability of embedded double-walled carbon nanotubes based on a modified couple stress theory, Physica E, 2011, 43, 1031-1039. 20. Roque, C.M.C. ; Fidalgo, D.S. ; Ferreira, A.J.M. ; Reddy, J.N. A study of a microstructure-dependent composite laminated Timoshenko beam using a modified couple stress theory and a meshless method, Composite Structures, 2013, 96, 532-537. 21. Baghani, M. Analytical study on size-dependent static pull-in voltage of microcantilevers using the modified couple stress theory, International Journal of Engineering Science, 2012, 54, 99-105. 22. Togun, N.; Bağdatlı, S.M. Size dependent nonlinear vibration of the tensioned nanobeam based on the modified couple stress theory, Composites Part B: Engineering, 2016, 97, 255-262. 23. Atcı, D.; Bağdatlı, S.M. Vibrations of fluid conveying microbeams under non-ideal boundary conditions, Microsystem Technologies, 2017, 1-12. 24. Kocaturk, T.; Akbas, S.D. Wave propagation in a microbeam based on the modified couple stress theory, Structural Engineering and Mechanics, 2013, 46(3), 417-431. 25. Akbas, S.D. Forced vibration analysis of viscoelastic nanobeams embedded in an elastic medium, Smart Structures and Systems, 2016, 18(6), 1125-1143. 26. Akbas, S.D. Analytical solutions for static bending of edge cracked micro beams, Structural Engineering and Mechanics, 2016, 59(3), 579-599. 27. Civalek, Ö. Free vibration of carbon nanotubes reinforced (CNTR) and functionally graded shells and plates based on FSDT via discrete singular convolution method, Composites Part B: Engineering, 2017, 111, 45-59. 28. Shen, J.P.; Li, C. A. Semi-continuum-based bending analysis for extreme-thin micro/nano-beams and new proposal for nonlocal differential constitution, Composite Structures, 2017, 172, 210-220. 29. Dehrouyeh-Semnani, A.M.; Mostafaei, H.; and Nikkhah-Bahrami, M. Free flexural vibration of geometrically imperfect functionally graded microbeams, International Journal of Engineering Science, 2016, 105, 56-79. 30. Ghayesh, M.H. ; Farokhi, H.; Amabili, M. Nonlinear dynamics of a microscale beam based on the modified couple stress theory, Composites: Part B, 2013a, 50, 318-324. 31. Ghayesh, M.H. ; Amabili, M.; Farokhi, H. Nonlinear forced vibrations of a microbeam based on the strain gradient elasticity theory, International Journal of Engineering Science, 2013b, 63, 52-60. 32. Wang, Y.G. ; Lin, W.H. ; Liu, N. Nonlinear free vibration of a microscale beam based on modified couple stress theory, Physica E, 2013, 47, 80-85. 33. Xia, W.; Wang, L.; Yin, L. Nonlinear non-classical microscale beams: Static bending, postbuckling and free vibration, International Journal of Engineering Science, 2010, 48, 2044-2053. 34. Şimşek, M. Nonlinear static and free vibration analysis of microbeams based on the nonlinear elastic foundation using modified couple stress theory and He’s variational method, Composite Structures, 2014, 112, 264-272. 35. Toupin, R.A. Theories of elasticity with couple stress, Archive for Rational Mechanics and Analysis, 1962, 17, 85–112. 36. Mindlin, R.D. ; Tiersten, H.F. Effects of couple-stresses in linear elasticity, Archive for Rational Mechanics and Analysis, 1962, 11, 415–448. 37. Mindlin, R.D., Influence of couple-stresses on stress concentrations, Experimental Mechanics, 1964, 3, 1–7. 38. Nayfeh, A.H., Mook, D.T. Nonlinear Oscillations; John Wiley, New York, 1979. 39. Nayfeh, A.H. Introduction to Perturbation Techniques, John Wiley, New York, 1981.